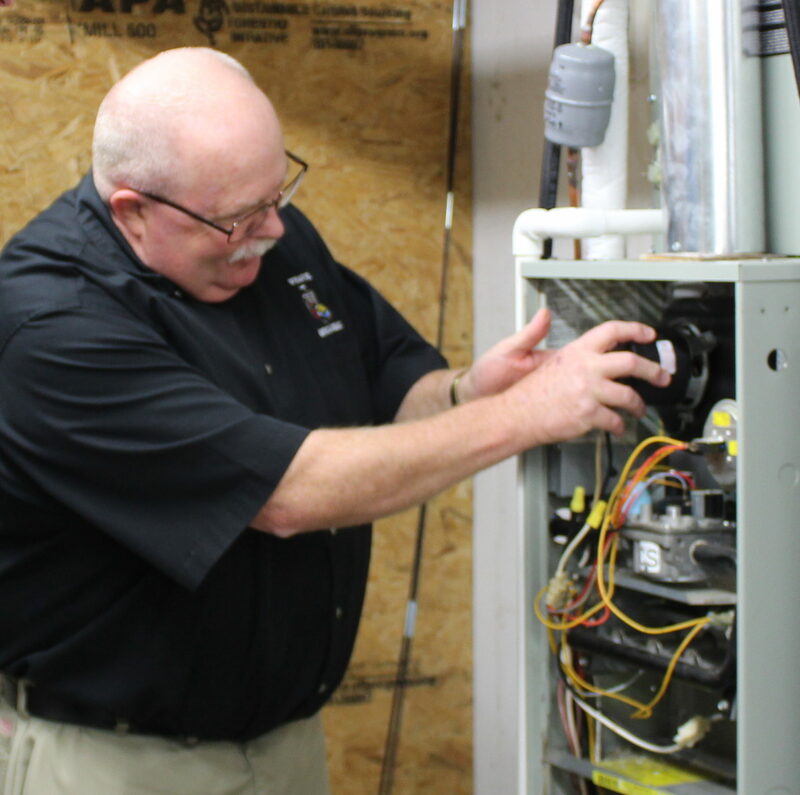 Not every home HVAC issue warrants a technician or trained specialist to handle. Often times with a little information and the will to try, a homeowner can fix or at least properly diagnose a problem when it occurs, potentially saving money. We've put together some tech tips and troubleshooting information here to help inform our customers on common mistakes and fixes. We've assembled a list of commonly asked HVAC related questions in an effort to educate our clients about terminology, technology, and industry standards. Two stage (or variable stage setups as well) mean that an air conditioner or heat pump has a compressor with two (or more) levels of operation. High for extreme temperatures and Low for milder weather. Since the low setting is ideal for 75%-80% of the time, a two-stage unit runs for longer periods producing more level temperatures. Variable stage cooling or heating is similar to two-stage cooling / heating. The main difference is that there are no set 'modes'. In a two stage set up there's a 'High' and 'Low' stage, in variable stage models, the output and power draw are constantly shifting to better adapt to temperature changes through out the day/week/month/year. This typically means more efficient heating and cooling. SEER is the 'Seasonal Energy Efficiency Ratio' of an product and is found by comparing the cooling output during a typical cooling season divided by the total electric energy input during the same period. the higher the number, the more efficient the product is. SEER is defined and enforced by the AHRI (Air Conditioning, Heating, and Refrigeration Institute). AHRI (Air Conditioning, Heating, and Refrigeration Institute) is a trade association representing more than 350 manufacturers or HVAC equipment. They established SEER ratings for american heating and cooling products, and also handle three separate performance certifications. Split systems, should both units be replaced? Split systems are meant to be used in a matched system, and while mixing units from one system with another may work, it is likely they will not be anywhere near as efficient as a truly matched system would be. The answer to this question is dependent on a number of factors, such as the model in question, the season, and location of the home. However typically most units will use between 1.5 and 12 gallons per day. The low end of that spectrum is enough to raise your humidity but not so much as to actually impact your water bill. - Vacuum and clean weekly. - Wash bed liners, stuffed toys, and other items prone to collecting dust. - Ventilate well. Homes these days are well insulated which means great efficiency, but traps pollutants inside. Opening windows, installing a ventilation system, and circulating air can help. - Replace or clean filters in your HVAC system at their defined times to avoid build up of particulates and other undesirable air borne pollutants. - Check your home's humidity levels. Too low or too high levels can both negatively impact air quality. Product pricing can be obtained via phone when speaking with one of our trained customer specialist. Each situation and installation is different requiring different considerations due to unique factors, as such to give you an accurate quote we need a bit more information than just the product line you may be interested in. How can I tell if I have a ventilation issue? There are signs to be aware of when it comes to poor ventilation, they include: moisture buildup on windows and walls, smelly or stuffy air, or lingering odors can also be a sign of poor ventilation. In the United States at the local and federal level are many opportunities for incentives. Many utility companies also offer incentives as well. Requirements are generally listed on the particular agency's site. According to dsireusa.org there are 47 states and 600 electric utilities across the US that provide incentives for renewable energy.